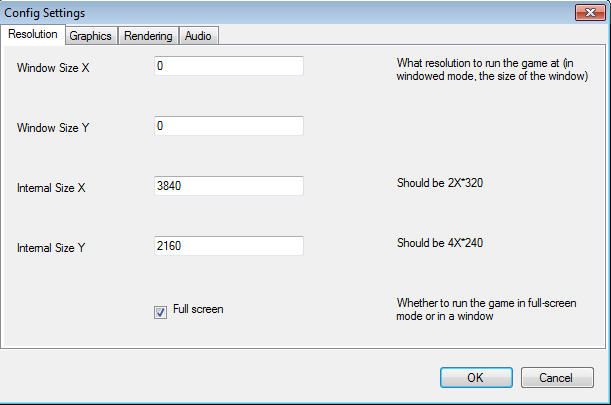 If you play WITH texture mods (field, battle, world), a dedicated GPU with OpenGL 2.0 support is needed. One with 512 MB is preferred. 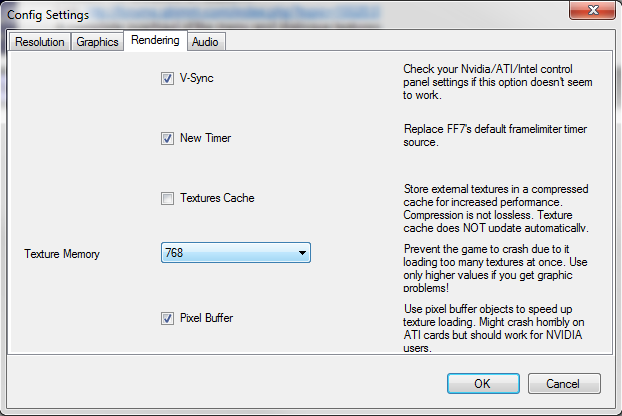 Anything without OpenGL 2.0 support or lower memory will glitch/crash often when using a lot of texture mods. If you play WITHOUT texture mods (field, battle, world), the game should be playable on most systems. We do NOT support piracy. You will need to BUY the game if you don't have it already. If you are having issues installing on Windows 10, take a look at Tom's Installer Remake. 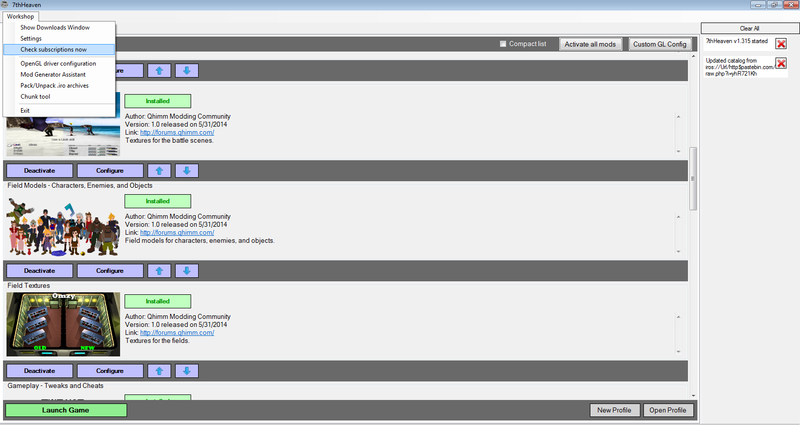 Achievements, Cloud Saves, and the Trainer will be gone after the modding process. Let's get going with the mods! 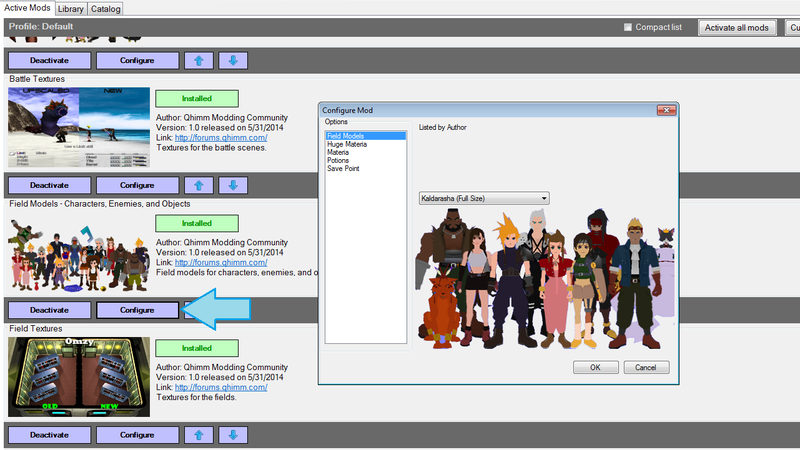 Patch the game for mod compatibility using this FF7 Game Converter. 2. Rename a USB Flash Drive to FF7DISC1. 3. Rename a Hard Drive to FF7DISC1. YOU MUST USE THE GAME CONVERTER, PERIOD. IT DOESN'T MATTER WHAT VERSION OF THE GAME YOU BOUGHT. 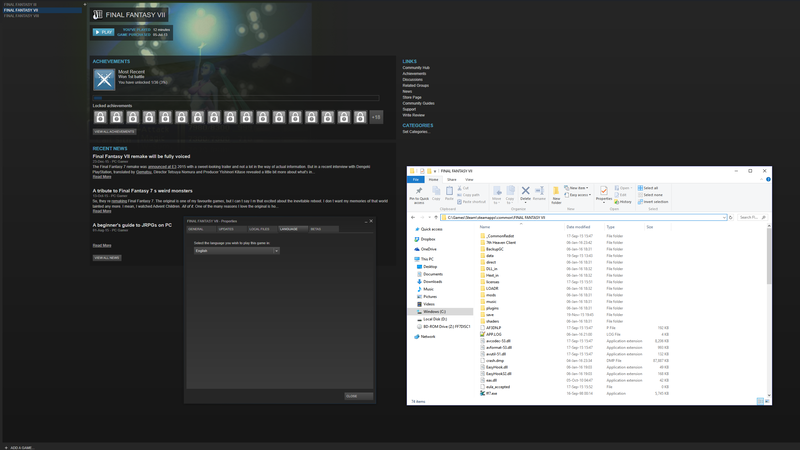 IT CONVERTS YOUR GAME FILES/FOLDERS AND ADDS OTHER NECESSARY FILES/FOLDERS FOR MODDING TO WORK. 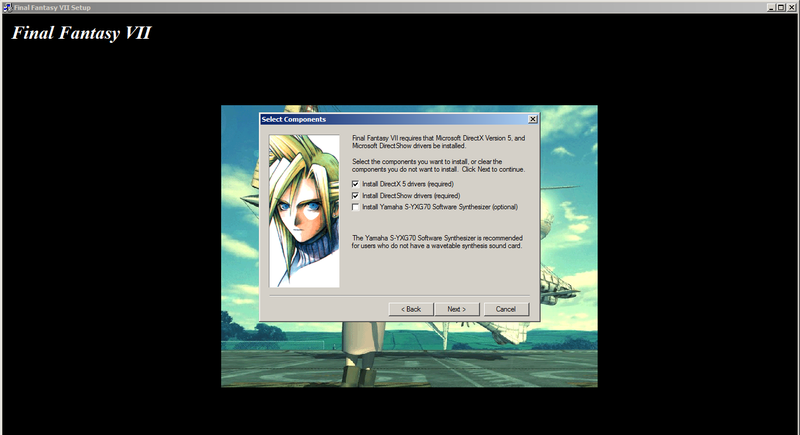 Note: FF7_GameConverter_7H.exe is the ONLY version that works with this tutorial. All others will require a lot of manual setup. Download and extract 7th Heaven to any location. 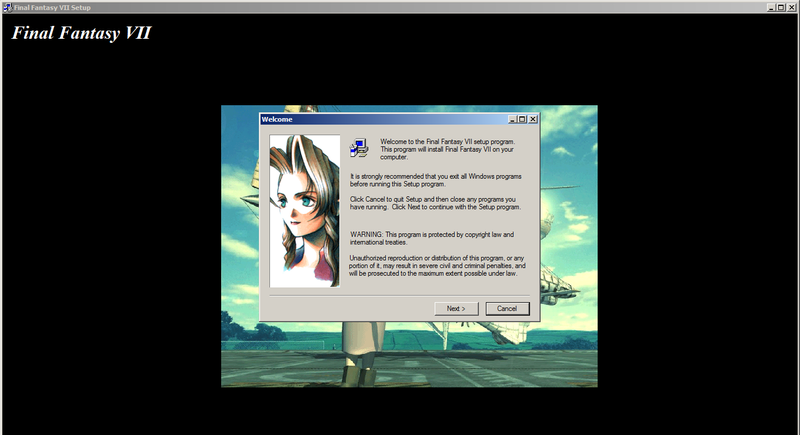 ➣ FF7 Exe: ...\ff7.exe <--- Read the IMPORTANT tag below on this. It's...IMPORTANT! 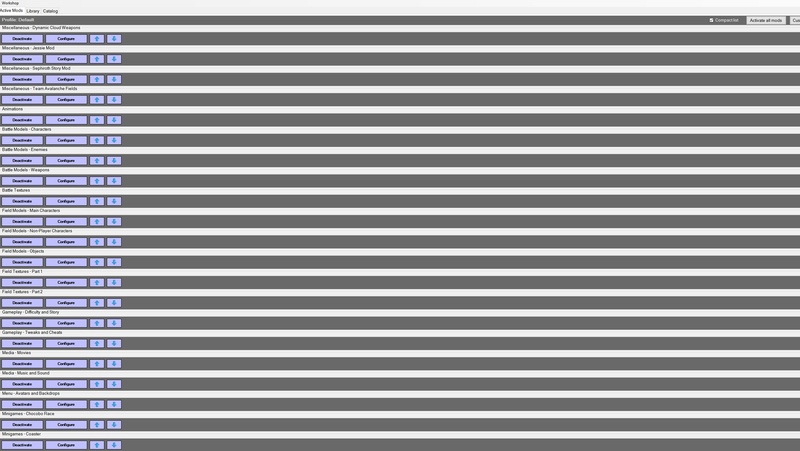 All of these .EXE files are provided via the Game Converter from STEP 1. 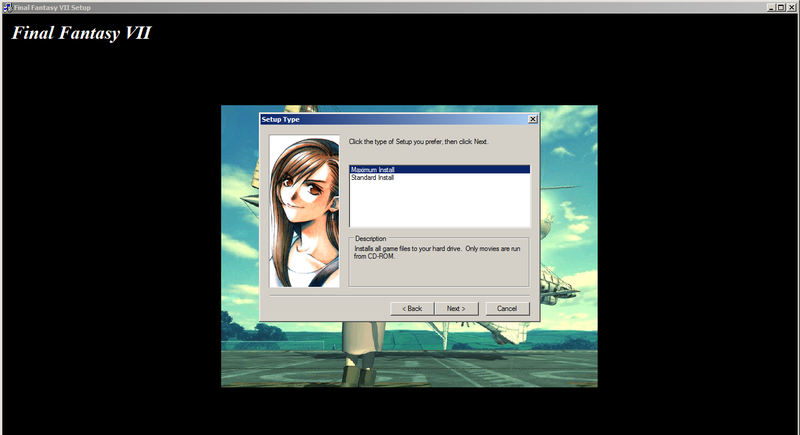 They will be in the game folder alongside ff7.exe. 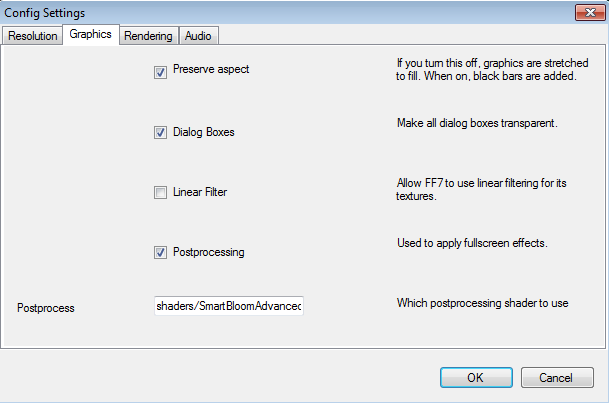 ➣ Postprocessing: Check <-- If there's a very bright bloom effect ingame, then uncheck this box. 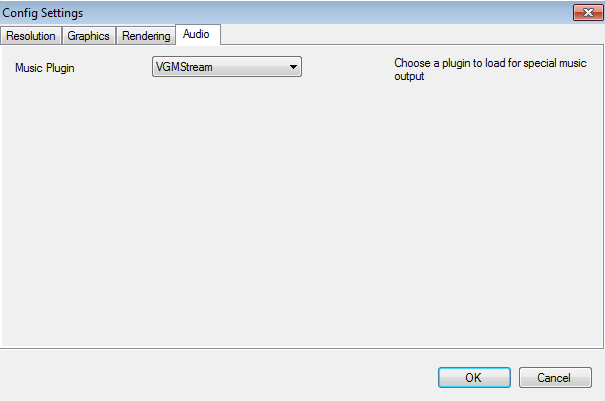 ➣ Music Plugin: VGMStream <-- Must be selected for music to work. Click on Workshop -> Update Catalog. A message will appear in the right-side window for "Updated catalog..."
Go to the Catalog tab and click on the Search button to refresh the window. 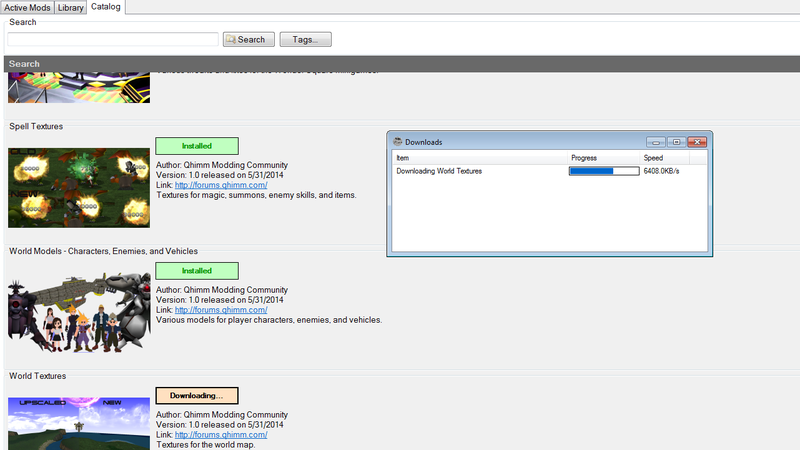 Click on the Download buttons to begin downloading the mods. 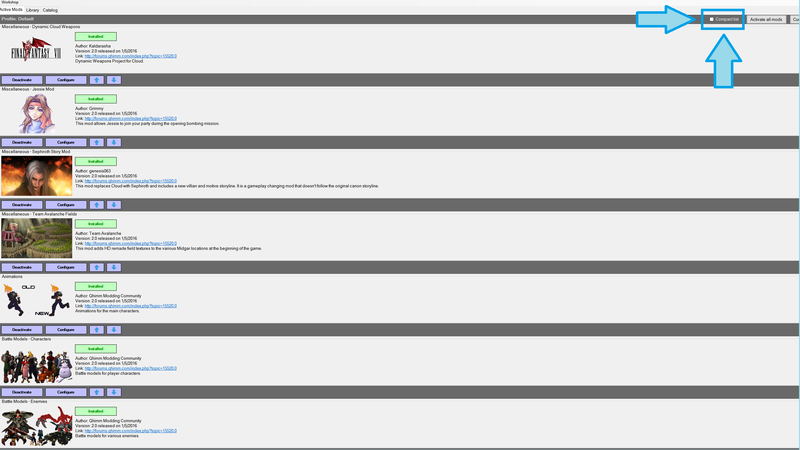 NOTE 1: Please refrain from downloading all the mods at once. This can cause some of the bigger sized mods to stick and not finish downloading. 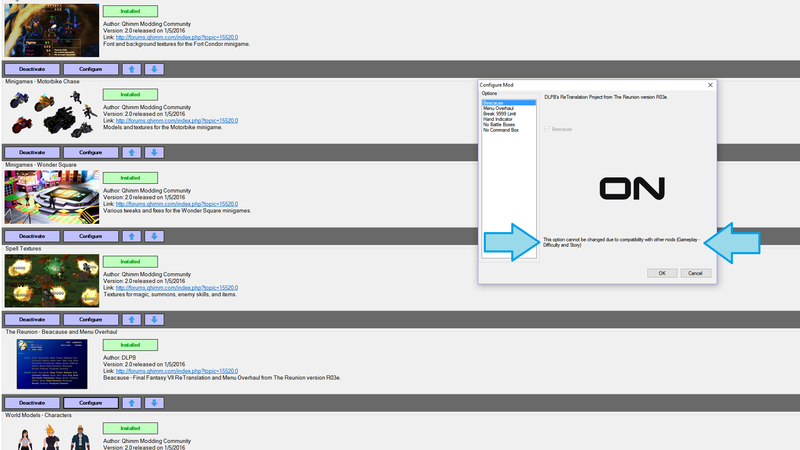 NOTE 2: If a download gets stuck, right-click it in the Downloads window and select Cancel. 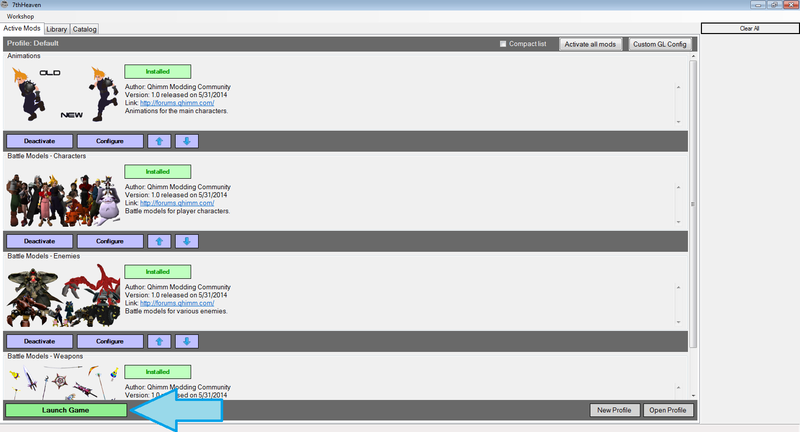 It may need this done more than once, but eventually it will begin to download again. Go to the Library tab and click on the Search button to refresh the window. Click on the Activate buttons to enable the mods. 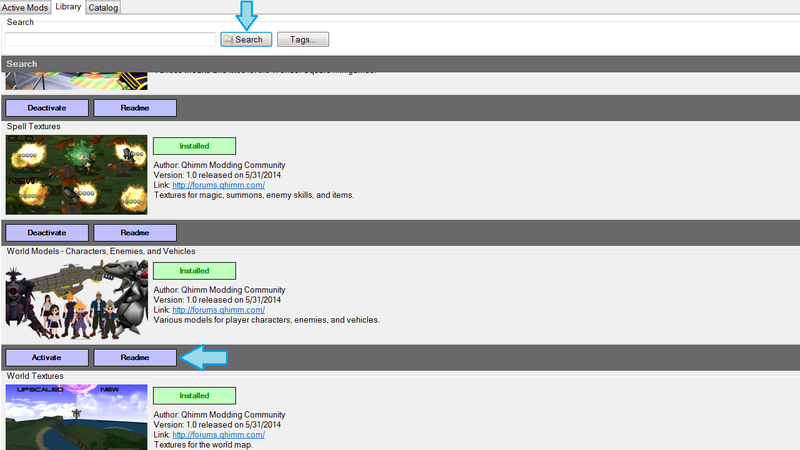 Go to the Active Mods tab and use the Configure buttons to choose the mod options. Some mods have settings built in to automatically enable/disable other mods. These settings will always update after clicking the OK button. When it updates, you will see message pop-ups with an explanation. 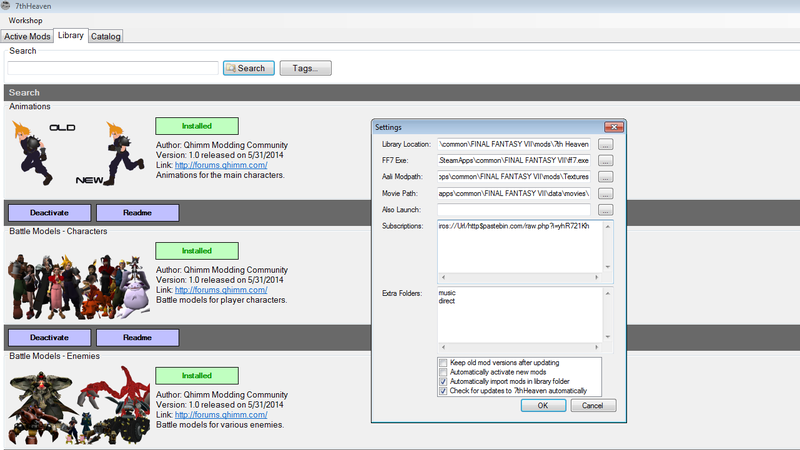 You will also see the message inside the Configure Mod window where the changes occurred. This is done to ensure compatibility across different mods. To undo the restriction, turn off the mod that it states. Load order takes priority from top to bottom. This means a mod will overwrite all mods below it. Don't worry though...I have made an easy list to follow below. 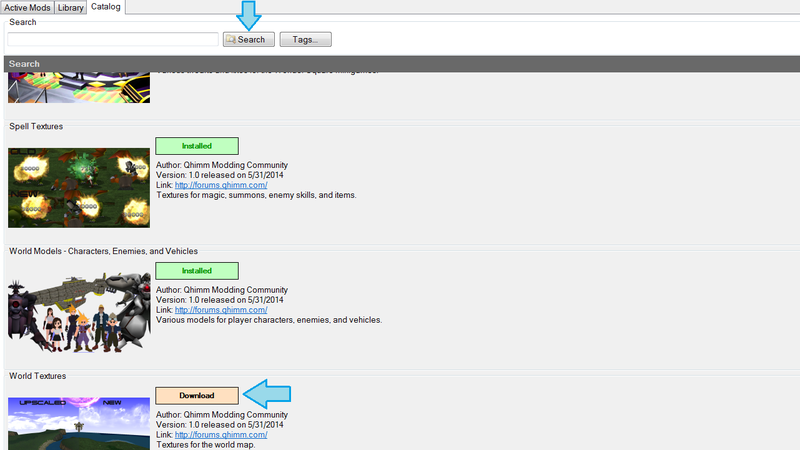 TIP: Check the Compact list box to help with arranging the mod list. Click on Launch Game to begin playing! What do I do if something doesn't work or appears broken? 1. Please start a New Topic with specifics on what happens when you run into your issue(s). 2. 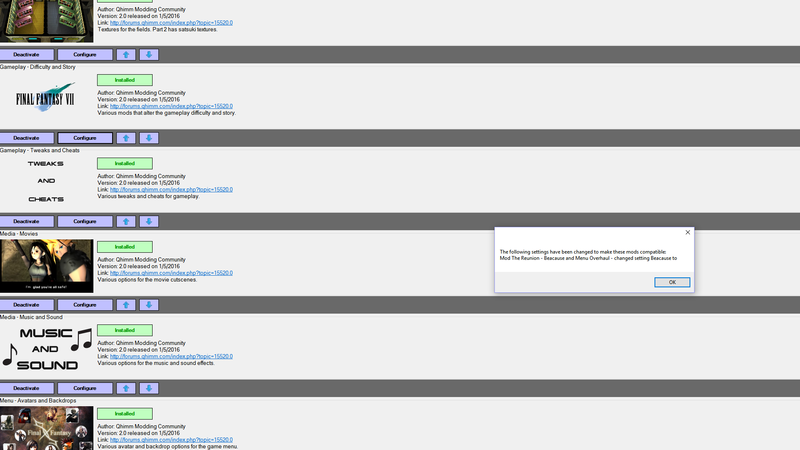 Please click on the Profile Details button in the lower right corner of 7th Heaven, and post the load order contents. 3. If it's crash related, please post your APP.LOG report, which is found in the game's installation folder. I enjoy helping people, so do me a favor and help me as well. Iros for creating the 7th Heaven tool. Kompass63 for updating the Game Conversion patch. The respective creators of each and every mod featured. Overweight-Cat @ Deviantart for the lovely Tifa art. 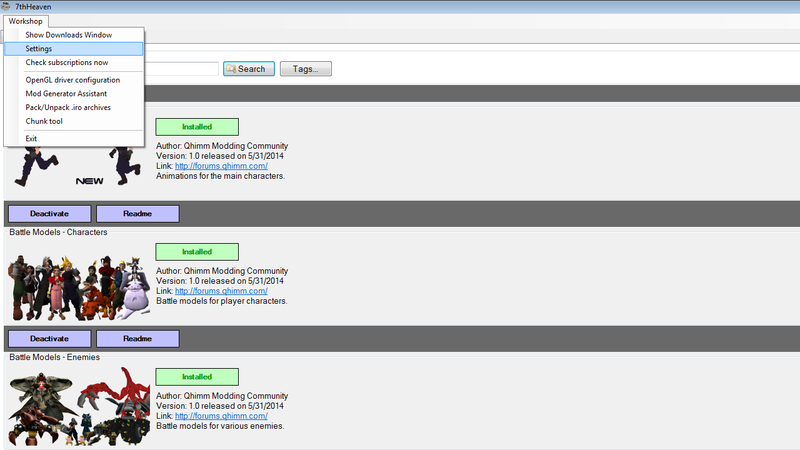 The players, fans, supporters, and testers within the Qhimm community.